You are here: Home / What are the different types of conservatory door? Which design of conservatory door is the best? Deciding upon which door to use in your conservatory is not just a matter of accepting the standard doors that come with the building, you should take some time to consider how the type of door is going to work alongside the way you use the conservatory. Even the size of the conservatory you are planning to have built should be taken into account when thinking about doors choice, as some conservatory doors function better with smaller rooms. sliding – inline – these sliding doors need some room to work best, because the doors overlap you need to have enough room left to move in and out easily. 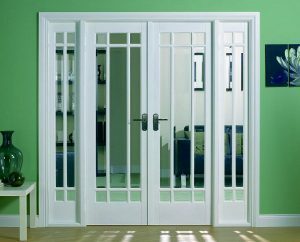 swing doors – they can open in or our, so if you have a small conservatory it could be better to use swing doors instead of sliding doors. folding doors – stack to the sides and so leave a bigger open space than sliding doors.